More than one year after Israel pulverized the besieged Gaza Strip, the pain is not over for the Omran family who are still searching for their son Noor, desperate to find out whether he is dead or alive. Even though it has been many months since the 17-year-old went missing, his family has not given up. The last person to have seen Noor told his mother he had entered the middle of the ground invasion and stopped his motorcycle, which he was riding near the farm, and then disappeared. 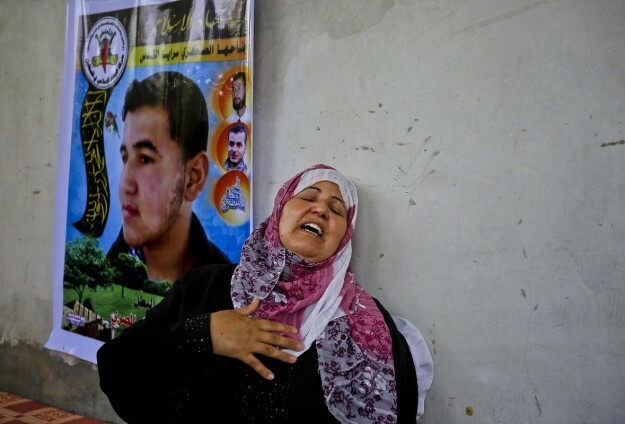 His mother is in great pain, not knowing whether her son is dead or alive. Mutasim said he started communicating with local and international human rights organizations to search for his brother inside Israeli prisons, after he found no clues leading to his corpse. Israeli authorities are not always hiding the fates of Palestinians who went missing during the war, because the family of Hatem Abu Reida, 25, was informed that their son was detained in an Israeli prison. The Palestinian Ministry of Interior and the International Committee of the Red Cross have not issued any statistics regarding the number of people who went missing during the war. Mirfet al-Nahal, head of the Legal Aid Unit at Al Mezan Center for Human Rights, said the center communicated with a number of families who had lost sons during the war and received official powers of attorney from them to legally pursue the fates of their sons on the Israeli side. She said that the center’s research found 24 missing individuals alive inside Israeli prisons, while five other cases remain unknown. Last July, Israel waged war on the Gaza strip, killing more than 2,000 Palestinians and injuring another 11,000, according to the Palestinian Health Ministry. No official data has been issued by Israel regarding the number of those detained in Gaza during the war, or the numbers of dead Palestinian bodies it holds.